Are you thinking about setting up groups for your class this semester, but you’re not sure how it works? Check out this new, short video that explains how you can utilize groups in D2L to create group dropboxes, discussion forums, and lockers for your class projects. 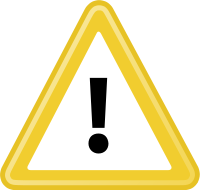 Currently we are aware of an issue where instructors cannot copy gradebook items and/or categories from any previous course offering using Copy Components. 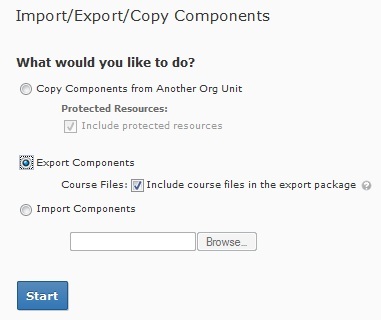 The workaround is to use Export and Import Components functions instead. Learn@UW is pushing for a fix to have the Copy functionality restored for Gradebook items. ePortfolio Tutorial Videos – Now Available! The Learning Technology Center (LTC) has created a new video tutorial series for Desire2Learn ePortfolio to help guide students through the basics of the ePortfolio tools. ePortfolio is a user-centered application for students to store, organize, reflect on, and share items that represent what they have learned. Students can present a professional webpage of their personal learning journey by including documents, graphics, video files, audio files, and presentations that they have created during their collegiate career. This user friendly program will allow students to share their work, achievements, knowledge, and reflections to advisers, potential employers, and their peers. The videos are available below and can be found on our YouTube channel. If you have any additional questions regarding this, please contact UW-W Desire2Learn Support. As many of you know, UW-Whitewater has WebEx setup for all faculty and staff. We have been getting a number of requests for student use of WebEx in conjunction with various classroom activities. Students cannot directly schedule meetings in the WebEx system. However, instructors can schedule the meetings for the students in a way that the instructor will not need to be present to start up the meeting. The document below will walk through the steps of how to use the “Advanced Scheduler” to schedule a meeting where students can join, and present to their groups without the need for the instructor to be present. It is important to remember that students should be using the VoIP audio option only. The option to connect to audio over the phone should not be used. If the phone option is used by students, any costs incurred will be billed back to the department. If you have any additional questions regarding this, please contact the Learning Technology Center. On the Instructional Technology wiki, a page is available that lists known issues with the current version of D2L. These are issues, bugs, or errors that Desire2Learn is aware of and have plans to correct in future Service Packs and updates. This Known Issues list wiki page is available here. As Service Packs and updates are applied to D2L, we will update this wiki page with information on what the Service Pack has fixed. The D2L eGrading process allows instructors to transfer final grades from their D2L Gradebook to their WINS Grade Roster in a few simple steps. This process is currently open and available for instructors to transfer their semester grades from D2L to WINS. If you need additional assistance with your Gradebook or if you have eGrading questions, please contact UW-W D2L Support. There are a wide variety of software programs available on campus computers, as well as distributed freely on the Internet. Each of these programs typically saves their files into a proprietary format which will only work with the program in which it was created. While D2L ePortfolio (eP) allows nearly any type of file to be used in a eP presentation, oftentimes a eP user may not have the software necessary to view all the various file formats. One way to solve the problem of file viewing is to convert files that will be used in and eP presentation to a more universal file format, such as a PDF document or image file. If you are using a Mac, you may notice that when you create a file, sometimes it is missing the filename extension. For example, you may have a file named “project1” that is a PDF file. That file may work fine on your Mac, however if a person running Windows trys to open it they will receive an error. To solve this problem, you need to rename the file to be “project1.pdf”. This will ensure that both Mac and Windows users will be able to view the file. Paid software programs, such as Adobe Acrobat Pro, are also available. Adobe Acrobat Pro allows you to print directly to PDF, and convert most other file formats to PDF. Adobe Acrobat Pro is available to all students in the General Access Labs, and also in some college specific labs. Instructors can also use this software in the Learning Technology Center. If you have any questions regarding the conversion of files for use in your ePortfolio presentation, please contact D2L Support. Subscribing to a course discussion topic allows you to receive an email notification when a fellow student or an instructor has posted a message in that topic. You can customize your subscriptions by choosing how frequently you would like the notification to be sent to your email as well as a specify a time of day to receive it. In this short video, Erica will show you step by step how to post a message in a D2L discussion and how to subscribe to a discussion topic. For more information, please see the D2L User’s Guide section on discussions. If you have any further questions, please contact UW-W D2L Support. A new online tool called “GradeMark” is now available to UW-Whitewater instructors! GradeMark allows instructors to more easily and quickly provide “digital” (rather than handwritten) feedback and grades on student papers and assignments. GradeMark is a digital assessment tool that is part of the Turnitin suite. Both OriginalityCheck for plagiarism detection and GradeMark tools are integrated in the dropbox of Desire2Learn (D2L). QuickMarks: Standard editing marks and comments for composition format, punctuation, and usage. General Comments: Instructor personal comments that can be linked to any word, paragraph, or point in the document. Comments may be stored and used again. Comments Lists: View all QuickMarks and comments for the document in one location. For detailed instructions, please visit the GradeMark wiki. Attend the LTC workshop on the Turninin Suite (register at http://signup.uww.edu) or schedule a personal consultation with a member of the Learning Technology Center. D2L now offers an improved Calendar tool to manage tasks for courses. You can view course events such as project due dates, homework assignments, and virtual office hours. When looking at your calendar tool, just click on the events posted in your calendar to find out more information that your instructor has provided for you. The management tool lets you organize your calendar by customizing how the content appears. You can change the color scheme of individual courses, toggle calendars to display the courses you want to focus on, and view individual course schedule. Color coded courses make it easier and clearer for you to know which assignments, quizzes, discussion or events are for each class. Kaitlyn, from the Learning Technology Center, will demonstrate how to use and customize your calendar in this short video clip. For additional information, please see the Calendar section of the Student D2L User’s Guide. If you have any questions or concerns, please contact UW-W D2L Support.